The majority of the public believe Labour has handled recent allegations of the antisemitism badly, a poll suggests as the party faces mounting pressure to adopt the full international definition of antisemitism. It comes after a former Labour leader in Scotland, Jim Murphy, took out a full-page advert in the Jewish Telegraph to offer an apology to British Jews and accused Jeremy Corbyn’s top team of being “intellectually arrogant, emotionally inept and politically maladroit”. “Jeremy Corbyn is not doing nearly enough to throw out the antisemites found within grassroots and online Labour,” the former minister claimed. The survey for The Independent found that just 9 per cent believed Labour had handled allegations of antisemitism within the party’s ranks well, while 60 per cent did not, and 30 per cent said they did not know. But when asked if they believed Labour is an “institutionally antisemitic party”, 40 per cent of those polled said they disagreed, 23 per cent agreed and 37 per cent did not know. Similar results were also found when respondents were asked whether they believed Mr Corbyn was “antisemitic” – an allegation made by the Labour MP Dame Margaret Hodge during a confrontation with the party leader in the Commons before the summer recess. The poll found that 35 per cent of people did not believe Mr Corbyn was antisemitic while 27 per cent did and 38 per cent said they did not know. 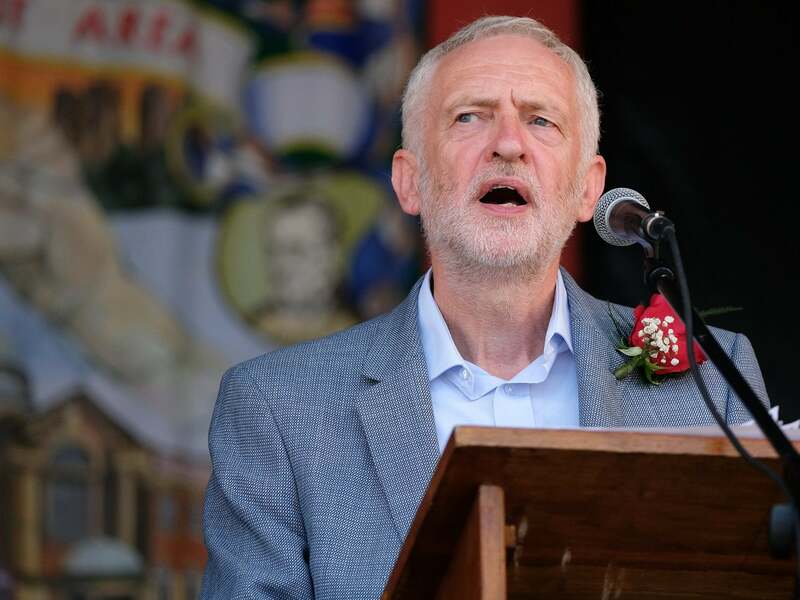 In recent days, Labour’s leadership has faced increasing calls to adopt the full definition of antisemitism drawn up by the International Holocaust Remembrance Alliance (IHRA) without amendments. In its agreed code of conduct on antisemitism, the party omitted four examples from the IHRA's list of unacceptable behaviour. Labour says the majority are covered elsewhere in their document. Senior figures in the party, however, including deputy leader Tom Watson, have said the IHRA text must be adopted in full and MPs in the Parliamentary Labour Party are expected to vote on the issue after the summer recess. Dave Prentis, the general secretary of the public sector union Unison, added his voice to the calls for Labour to adopt the IHRA definition in full this week. He said “putting the issue of Labour and antisemitism to be as quickly as possible” was “critical” to his party’s efforts at the next general election. The issue was costing Labour votes and harming its relationship with the Jewish community, said Mr Prentis in an article on the New Statesman website. Writing last week amid the furore over antisemitism in Labour’s ranks, Mr Corbyn said he acknowledged there “is a real problem” his party is attempting to overcome. “Denying the continuing problem doesn’t help,” he wrote in an article for The Guardian. “Labour staff have seen examples of Holocaust denial, crude stereotypes of Jewish bankers, conspiracy theories blaming 9/11 on Israel, and even one individual who appeared to believe that Hitler had been misunderstood. Addressing concerns over the IHRA definition of antisemitism, he said: “Seven of the IHRA examples were incorporated word for word. And I believe the essence of the other four have also been captured. “But I acknowledge that most of the Jewish community, including many Labour supporters, take a different view. The community should have been consulted more extensively at an earlier stage – which is why our executive decided last month to reopen the development of the code in consultation with Jewish community organisations and others to address their concerns. “Our actual differences are in fact very small – they really amount to half of one example out of 11, touching on free speech in relation to Israel. It is unfortunately the case that this particular example, dealing with Israel and racism, has sometimes been used by those wanting to restrict criticism of Israel that is not antisemitic. The Commons Home Affairs Committee acknowledged this risk when it looked at the IHRA examples.